December « 2008 « Welcome to Property Source Nation! RISMEDIA—A federal mortgage interest buy-down program would help spark the housing market, the National Association of Realtors® said in a letter sent Monday to James B. Lockhart, chairman of the Oversight Board of the Federal Housing Finance Agency. NAR seeks a 4.5% mortgage interest rate buy-down program financed through the U.S. Treasury Department’s Troubled Asset Relief Program. - TARP would fund the payment of points at the individual level. - The Federal Home Loan Banks would raise funds by selling below-market-rate bonds to the Treasury Department for them to make the 4.5% interest rates available to lenders. - Fannie Mae and Freddie Mac would purchase mortgages at the 4.5% interest rate but pay lenders the market rate. NAR has calculated that a 1 percentage-point decrease in mortgage rates would result in an additional 500,000 home sales. - The higher loan limits passed in the economic stimulus bill earlier this year should be made permanent. - The federal government should ensure sufficient capital to support mortgage lending in every type of market. - The temporary $7,500 tax credit for first-time home buyers should be extended to all home buyers and the repayment requirement eliminated. TRUTH: Real estate agents vary widely in terms of experience, skill, ingenuity, accessibility and ability to produce results quickly and smoothly, among other key factors. Interview at least 3 agents, and come prepared with a list of questions you plan to ask. What is their track record? How do they market listings? Do they have a team to help show your home or does the responsibility fall on one particular agent? Due diligence is key to finding a representative prepared to work hard and who will be available to answer your questions along the way. TRUTH: Even before listing a home, sellers should hire professionals to inspect the property including the roof, pool, and other structural elements, as well as for termites and other important buyer considerations. Make all repairs before you list the house on the market. Today’s buyer is discriminating and has many choices – don’t give them a reason to have concerns. A complete list of the completed inspections and repairs should be made available to serious buyers, which will go a long way in expediting the process at large. TRUTH: Sellers do have ways to kick start a negotiation, such as a “Reverse Offer.” Consider that one buyer who has been back for a second or possible third look, but hasn’t pulled the trigger. Make them an offer! Yes you, as the seller, should put something in writing and submit it to the buyer’s agent. This will create an opportunity for the buyer’s agent to sit down with his or her client and potentially help close the deal. TRUTH: Purchasing a home could be the most important and complex financial transaction you engage in, and going it alone is risky. Indeed, a buyer’s agent can save you time, hassle and thousands of dollars. Take time and care when selecting a real estate buyer’s agent – find someone you can trust, and that you have a good rapport with. TRUTH: Many buyers want to find the “perfect” home before having their credit pulled, which can backfire when an offer is on the table and time is of the essence. It’s wise to get pre-approved for a loan even before you view your first home. Your credit report may contain inaccurate information that you were not aware of, which can be a time consuming process to rectify. Or, you might not like what loan program you qualify for, or you might qualify for a higher loan value than you thought. Ultimately, you will need a pre-approval letter with your offer, so do yourself a favor and do this in advance. It’s free, after all. TRUTH: A difference of even half a percentage point can mean a considerable savings over the life of a loan. For example, the difference in the monthly payment on a $100,000 mortgage at 8% vs. 7.5% is about $35 per month. Over 30 years, that’s $12,600. Be a smart consumer and comparison shop for the most favorable mortgage rates and terms. TRUTH: Not all agents – and agent packages – are created equal. From full-service agents to discount agencies, make sure you know the type of professional you are hiring and what EXACTLY they are going to do to sell your home. An agent that can professionally market your home above and beyond the MLS listing will increase your exposure within the marketplace, which will lead to a higher selling price and less days on the market. Will your agent incur costs to give your home that visibility? Find out, so that you may take everything into consideration when establishing the commission percent. Despite what an agent might say otherwise, commissions are always 100% negotiable. Even in today’s economic climate Nothnagle Realtors continues to expand, opening TWO new offices in 2008 and launching the franchise division in October. The Realty Network is now Nothnagle Realtors! Established in 1995, The Realty Network has been a presence in the Brockport community for 13 years. The office will remain at 9 Main Street in the Village of Brockport, allowing Nothnagle Realtors to offer 24 branch locations conveniently located throughout the Greater Rochester region. Vickie Sweet, Broker/Owner of The Realty Network said, “This is the right time for our company to align with the best real estate company in Rochester.” Vickie has been in real estate for 22 years and is looking forward to continuing in sales. Mark Swanson, Associate Broker with Nothnagle Realtors, will serve as branch manager. Mark has over 20 years of experience in the real estate industry. The office currently has 13 experienced agents with more being added in the coming weeks. “The experience and knowledge of the agents, coupled with the Nothnagle tools and technology, will be a great asset to buyers and sellers in the Brockport area,” said Armand D’Alfonso, President and CEO of Nothnagle Realtors. To contact Nothnagle Realtors’ Brockport branch, call 637-2810. The Greater Rochester Association of REALTORS® (GRAR) is reporting on the market statistics in the Greater Rochester and Finger Lakes region for the month of November. This past month there was a 29 percent decrease in monthly closings and a 6.9 percent decrease in homes listed for sale as compared to November of 2007 according to statistics released by the Genesee Region Real Estate Information Service (GENRIS), the information subsidiary of GRAR. The median sale price for our area is up 0.4 percent at $118,000 year-to-date. Locally, the town of Chili saw 22 percent increase in number of closings along with a 1 percent increase in median sale price compared to November 2007. Towns like Brighton (11.5%), Gates (17.5%), Irondequoit (0.5%), Parma (31.7%), Penfield (60.5%), Pittsford (26.6%) and the City of Rochester (17.0%) all saw increases in median sale price compared to the same time last year. The surrounding counties of the Greater Rochester MSA, specifically Yates County continues to show positive activity with an 8.1 percent increase in monthly closings year-to-date. With holidays and the weather as it is this time of year, a seasonal slowdown in the market is to be expected. However, we urge residents of our region to be optimistic about our market – while we may not experience the housing booms that have occurred elsewhere, we are also fortunate that we do not experience the dramatic decreases in sales either, as other parts of the country currently are. Interest rates remain low and real estate is definitely local. In a statement to the House Financial Services Committee last week, the National Association of Realtors® (NAR) recommended a four-point plan to stimulate home sales and stabilize housing valuations. NAR developed the plan for consideration by the current lame-duck session of Congress, and for the 111th Congress and the new administration. The four-point plan’s principles are consumer-driven to help foster a housing recovery to support an economic rebound. The plan calls for eliminating the repayment of the first-time home buyer tax credit that was passed in the February stimulus bill, and to expand the tax credit to include all home buyers. The plan also recommends making the increased FHA and conventional loan limits permanent to stimulate home sales and stabilize prices. In addition, the plan urges that the Troubled Asset Relief Program be put back on track by targeting the funds for mortgage relief through a mortgage interest rate buy-down. Finally, the plan recommends finalizing legislation to prohibit banks from entering into the business of real estate brokerage and property management. The Greater Rochester Association of REALTORS® (GRAR) is reporting on the market statistics in the Greater Rochester and Finger Lakes region for the month of October. This past month there was a 15.8 percent decrease in monthly closings and a 15.1 percent decrease in homes listed for sale as compared to October of 2007 according to statistics released by the Genesee Region Real Estate Information Service (GENRIS), the information subsidiary of GRAR. The median sale price for our area increased 2.6 percent to $117,500 compared to October of last year. Locally, the townships of Parma and East Rochester increased in number of closings compared to October 2007 by 20 and 25 percent respectively. 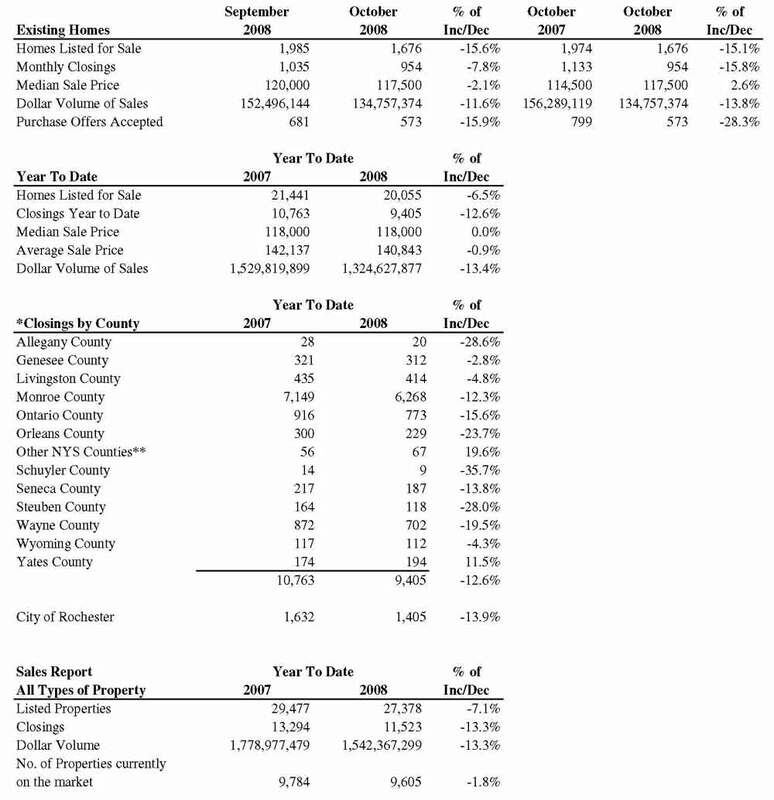 In regards to median sale price, the towns of Brighton, Chili, East Rochester, Ogden and the City of Rochester all saw increases compared to the same time last year. The surrounding counties of the Greater Rochester MSA, specifically Yates County continues to show positive activity with an 11.5 percent increase in monthly closings year-to-date. 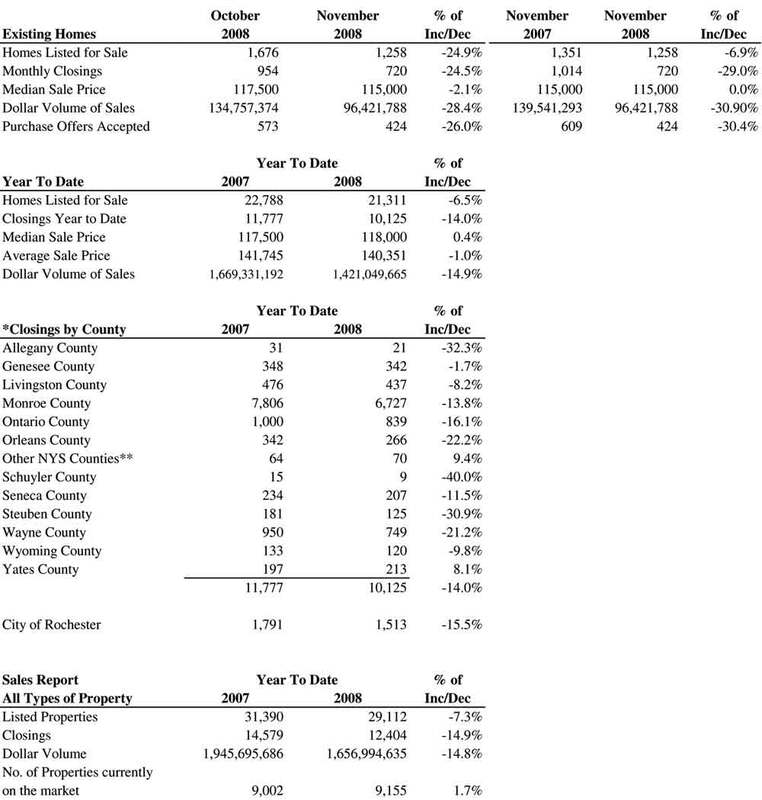 The real estate market for the Greater Rochester and Finger Lakes region is unique in that while we may not experience the housing booms that have occurred elsewhere, we are also fortunate that we do not experience the dramatic decreases in sales either, as other parts of the country currently are. Interest rates remain low and real estate is definitely local. The REALTOR-ASSOCIATE® of the Year award is the highest award that can be obtained in this association among REALTOR-ASSOCIATES®. One must submit 25 closed MLS transactions in a 12-month period; they must have participated in Greater Rochester Association of REALTORS® & Women’s Council of REALTORS® events and activities in the past 12 months; be involved in the community; and have completed educational requirements. Along with all the other demands in a day, they still uphold the ethics and professionalism of our industry. Last Friday night at the GRAR “Leadership and Awards Celebration of Excellence” dinner, the 2008 REALTOR-ASSOCIATE® of the Year award was presented to Andy Burke of RE/MAX Realty Group. 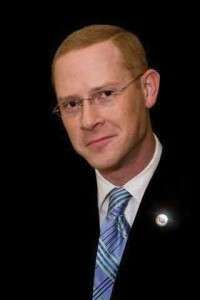 Andy began his real estate career in 2002. He was named Rochester’s “Rookie of the Year” in his first year in business. Since then, this RE/MAX Realty Group agent has won GRAR Sales Master or GRAR Sales Master Gold Awards. He is a member of RE/MAX International President’s Club. Andy is a GENRIS Director and sits on the REALTORS® Charitable Foundation Board of Directors as well. His GRAR committee work includes being the Chair of the Industry Advocacy Committee. Community organizations also benefit from Andy’s participation including The Community Place of Greater Rochester, the American Lung Association of NY State and Linden Knoll, Inc. Congratulations Andy! The REALTOR® of the Year award is presented to a member of the Greater Rochester Association of REALTORS® who has held REALTOR® membership for the past 3 or more consecutive years; the candidate should demonstrate distinguished service in the promotion and advancement of the interests and the ideals of the real estate profession; the candidate must demonstrate an ongoing involvement in real estate activities exemplifying an ambassador of the association; the candidate should also be involved within the community and seeks to enhance their professionalism through educational opportunities and designations. Last Friday night at the GRAR “Leadership and Awards Celebration of Excellence” dinner, the 2008 REALTOR® of the Year award was presented to Thomas deManincor of Realty USA. 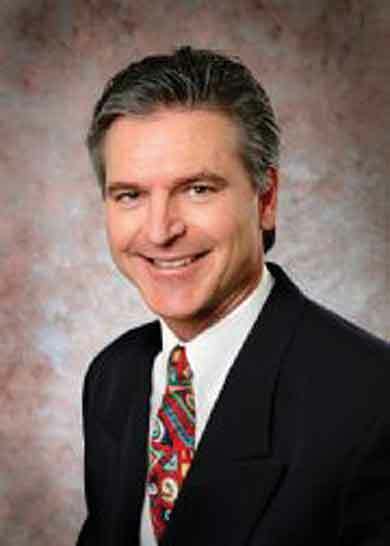 Tom obtained his real estate license in 1979 and began his career with Century 21 Cardinal as a Sales Associate. In 1986 he obtained his broker’s license and opened Village Pride REALTORS®. Since 2003, he has worked as a Manager for Realty USA in the Webster Penfield office. He also holds a Salesperson license in the state of Florida, where he is an active Sales Associate at Realty USA/Parklane Properties in Naples, Florida. 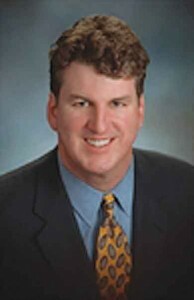 Tom was on the GRAR Board of Directors from 2004-2007 and was a GENRIS Vice-Chair in 1996 and 1997. He has been a part of several GRAR committees over the years including the Professional Standards & Arbitration Committee in 2008. From 2006 through this year he served as the Chairman of the Bay-Empire Business Association. His community involvement includes coaching basketball for 33 years. He is currently the Nazareth Academy Varsity High School coach and volunteers at Ronald McDonald House Fundraising events. His clients have consistently remarked about his professionalism, knowledge and friendliness over the years. Tom has been married for 31 years and has two grown children. Congratulations Tom!